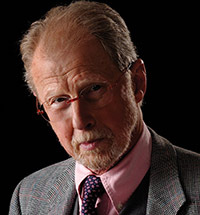 New York Times best-selling author Michael Korda is the former editor in chief of Simon & Schuster and a living legend in the publishing world. His many books include Ike: An American Hero, Power, Charmed Lives, Queenie, Country Matters, Another Life, Horse People, Ulysses S. Grant, and Journey to a Revolution. He has appeared on countless national television and radio programs, and has given talks across the country at libraries such as the New York Public Library, universities such as Smith College, and cultural institutions such as New York’s 92nd Street Y. A famed raconteur, Korda has regaled audiences with both his own passions – from Ulysses S. Grant to life in the country to Dwight D. Eisenhower – as well as the passions of the myriad authors and historical figures with whom he has worked. 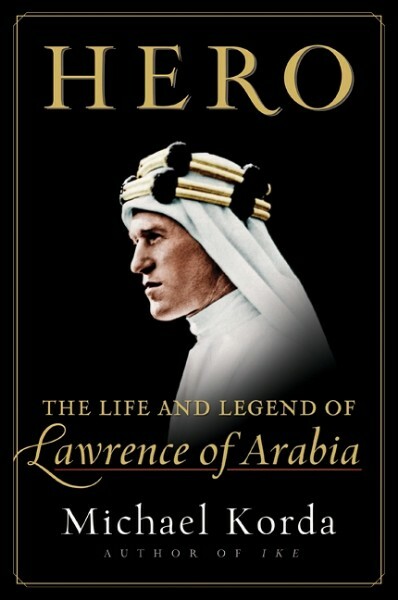 Over nearly five decades his authors have included presidents Carter, Reagan, and Nixon; political figures such as Charles De Gaulle, Dr. Henry Kissinger, Mayor Ed Koch, the Duchess of York; such stars as Cher, Kirk Douglas, Joan Crawford, Shelley Winters; media figures such as Phil Donahue and Larry King; historians such as David McCullough, Richard Rhodes, Michael Beschloss, Cornelius Ryan, Larry Collins, and Hugh Thomas; novelists including Larry McMurtry, Jacqueline Susann, Jackie Collins, Mary Higgins Clark, James Leo Herlihy, Susan Howatch, James Lee Burke, and Stephen Hunter; and such theater figures as Tennessee Williams, John Gielgud, and Laurence Olivier. Korda is now editor in chief emeritus of Simon & Schuster. Ike (HarperCollins), Korda’s latest book, is the first single-volume biography of President Eisenhower in a decade. Drawing on countless letters, diaries, and documents, Korda shows why Eisenhower should be honored and respected as a true American hero. An ambitious and enthralling new biography, Ike is a more compulsively readable analysis of Eisenhower’s true character and personality than anything else that has been previously published. What David McCullough did for John Adams and Robert Caro did for Lyndon B. Johnson, Korda does for Dwight Eisenhower – he reminds Americans of his greatness by frankly capturing the complexities and ambitions of the man, soldier, and president. Korda was born in London, in 1933, and has lived in the United States since 1958. He was educated at Le Rosey, in Switzerland, did his military service in the Royal Air Force, then attended Magdalen College, Oxford. In 1956, he drove to Budapest with three friends to deliver medical supplies to the insurgents and took part in the Hungarian Revolution, for which he was made a Commander of the Order of Merit of the Republic of Hungary in 2006. After working briefly for CBS-TV in New York City, Korda joined Simon and Schuster as an assistant editor in 1958, and subsequently became managing editor, executive editor, and editor in chief. Films based on his books include the ABC-TV miniseries of Queenie and Isn‘t She Great, based on his friendship with Jacqueline Susan. Korda lives on a farm in Dutchess County, New York with his wife Margaret, with whom he has co-authored two books, Horse Housekeeping and Cat People.